NO tire manufacturer suggests tire rotation. ÃƒÆ’Ã†â€™Ãƒâ€ Ã¢â‚¬â„¢ÃƒÆ’Ã¢â‚¬Â ÃƒÂ¢Ã¢â€šÂ¬Ã¢â€žÂ¢ÃƒÆ’Ã†â€™Ãƒâ€šÃ‚Â¢ÃƒÆ’Ã‚Â¢ÃƒÂ¢Ã¢â€šÂ¬Ã…Â¡Ãƒâ€šÃ‚Â¬ÃƒÆ’Ã¢â‚¬Â¦Ãƒâ€šÃ‚Â¡ÃƒÆ’Ã†â€™Ãƒâ€ Ã¢â‚¬â„¢ÃƒÆ’Ã‚Â¢ÃƒÂ¢Ã¢â‚¬Å¡Ã‚Â¬Ãƒâ€¦Ã‚Â¡ÃƒÆ’Ã†â€™ÃƒÂ¢Ã¢â€šÂ¬Ã…Â¡ Some even suggest AGAINST IT! Do you see a pattern developing here? And for most cars its much more frequent than that. It's the most frequent maintainence proceedure that you do next to an oil and lube. Its good general maintenance to rotate your bidirectional tires every 7 to 10 thousand miles or every third oil change. And when rotating those tires use a torque wrench in the star pattern, to insure the rim is bolted on evenly and correctly. There God has spoken. Regular and proper tire rotation promotes more uniform wear for all of the tires on a vehicle. All season tires should be rotated in a "modified X" pattern, meaning only the tires being moved to the drive axle are crossed to the opposite side of the vehicle. The remaining two tires are moved from the drive axle to the free rolling axle, remaining on the same side of the vehicle. This method of rotation helps promote a more even and uniform treadwear pattern for all four tires. The only exception to this would be the use of "directional" tread design tires such as our Aquatred II or some of our Eagle line high performance tires. These tires would remain on the same side of the vehicle and be rotated straight forward and straight back. If you have a four-wheel drive vehicle, we recommend crossing both pairs of tires to their new axle positions.We recommend tire rotation at least every 6,000 miles. Four-wheel drive vehicles may require rotation even sooner such as every 4,000 miles. Check your vehicle owner's manual for the manufacturer's rotation recommendations. If no rotation period is specified, tires should be rotated every 6,000 to 8,000 miles. The first rotation is the most important. When tires are rotated, inflation pressures must be adjusted to the vehicle manufacturer's recommendations. Uneven tire wear may also be due to misalignment or mechanical problems. Many Goodyear retailers can provide expert diagnosis and repair. Then again, there are a number of us that have directional tires with bigger tires in tha back that don't fit on the front. That is common with Stangs, vettes, "f-bodies", Mr2's, etc. So, we couldn't rotate if we wanted to. Joe -- 94 Olds Achieva Quad 4 HO ; 92 Olds Achieva Quad 4 SOHC; '69 Firebird 350 ; '77 Olds Cutlass (Yes, I have *4* GM cars. ). ÃƒÆ’Ã†â€™Ãƒâ€ Ã¢â‚¬â„¢ÃƒÆ’Ã¢â‚¬Â ÃƒÂ¢Ã¢â€šÂ¬Ã¢â€žÂ¢ÃƒÆ’Ã†â€™Ãƒâ€šÃ‚Â¢ÃƒÆ’Ã‚Â¢ÃƒÂ¢Ã¢â€šÂ¬Ã…Â¡Ãƒâ€šÃ‚Â¬ÃƒÆ’Ã¢â‚¬Â¦Ãƒâ€šÃ‚Â¡ÃƒÆ’Ã†â€™Ãƒâ€ Ã¢â‚¬â„¢ÃƒÆ’Ã‚Â¢ÃƒÂ¢Ã¢â‚¬Å¡Ã‚Â¬Ãƒâ€¦Ã‚Â¡ÃƒÆ’Ã†â€™ÃƒÂ¢Ã¢â€šÂ¬Ã…Â¡ÃƒÆ’Ã¢â‚¬Å¡Ãƒâ€šÃ‚Â 86 TBird & 86 Mustang GT with Cobra brakes & ABS. ÃƒÆ’Ã†â€™Ãƒâ€ Ã¢â‚¬â„¢ÃƒÆ’Ã¢â‚¬Â ÃƒÂ¢Ã¢â€šÂ¬Ã¢â€žÂ¢ÃƒÆ’Ã†â€™Ãƒâ€šÃ‚Â¢ÃƒÆ’Ã‚Â¢ÃƒÂ¢Ã¢â€šÂ¬Ã…Â¡Ãƒâ€šÃ‚Â¬ÃƒÆ’Ã¢â‚¬Â¦Ãƒâ€šÃ‚Â¡ÃƒÆ’Ã†â€™Ãƒâ€ Ã¢â‚¬â„¢ÃƒÆ’Ã‚Â¢ÃƒÂ¢Ã¢â‚¬Å¡Ã‚Â¬Ãƒâ€¦Ã‚Â¡ÃƒÆ’Ã†â€™ÃƒÂ¢Ã¢â€šÂ¬Ã…Â¡ Then again, there are a number of us that have directional tires with bigger tires in tha back that don't fit on the front. ÃƒÆ’Ã†â€™Ãƒâ€ Ã¢â‚¬â„¢ÃƒÆ’Ã¢â‚¬Â ÃƒÂ¢Ã¢â€šÂ¬Ã¢â€žÂ¢ÃƒÆ’Ã†â€™Ãƒâ€šÃ‚Â¢ÃƒÆ’Ã‚Â¢ÃƒÂ¢Ã¢â€šÂ¬Ã…Â¡Ãƒâ€šÃ‚Â¬ÃƒÆ’Ã¢â‚¬Â¦Ãƒâ€šÃ‚Â¡ÃƒÆ’Ã†â€™Ãƒâ€ Ã¢â‚¬â„¢ÃƒÆ’Ã‚Â¢ÃƒÂ¢Ã¢â‚¬Å¡Ã‚Â¬Ãƒâ€¦Ã‚Â¡ÃƒÆ’Ã†â€™ÃƒÂ¢Ã¢â€šÂ¬Ã…Â¡ That is common with Stangs, vettes, "f-bodies", Mr2's, etc. ÃƒÆ’Ã†â€™Ãƒâ€ Ã¢â‚¬â„¢ÃƒÆ’Ã¢â‚¬Â ÃƒÂ¢Ã¢â€šÂ¬Ã¢â€žÂ¢ÃƒÆ’Ã†â€™Ãƒâ€šÃ‚Â¢ÃƒÆ’Ã‚Â¢ÃƒÂ¢Ã¢â€šÂ¬Ã…Â¡Ãƒâ€šÃ‚Â¬ÃƒÆ’Ã¢â‚¬Â¦Ãƒâ€šÃ‚Â¡ÃƒÆ’Ã†â€™Ãƒâ€ Ã¢â‚¬â„¢ÃƒÆ’Ã‚Â¢ÃƒÂ¢Ã¢â‚¬Å¡Ã‚Â¬Ãƒâ€¦Ã‚Â¡ÃƒÆ’Ã†â€™ÃƒÂ¢Ã¢â€šÂ¬Ã…Â¡ So, we couldn't rotate if we wanted to. Such is th ecase with my Vette. With it you just repalce the tire when it gets in bad enough shape. Such is th ecase with my Vette. ÃƒÆ’Ã†â€™Ãƒâ€ Ã¢â‚¬â„¢ÃƒÆ’Ã¢â‚¬Â ÃƒÂ¢Ã¢â€šÂ¬Ã¢â€žÂ¢ÃƒÆ’Ã†â€™Ãƒâ€šÃ‚Â¢ÃƒÆ’Ã‚Â¢ÃƒÂ¢Ã¢â€šÂ¬Ã…Â¡Ãƒâ€šÃ‚Â¬ÃƒÆ’Ã¢â‚¬Â¦Ãƒâ€šÃ‚Â¡ÃƒÆ’Ã†â€™Ãƒâ€ Ã¢â‚¬â„¢ÃƒÆ’Ã‚Â¢ÃƒÂ¢Ã¢â‚¬Å¡Ã‚Â¬Ãƒâ€¦Ã‚Â¡ÃƒÆ’Ã†â€™ÃƒÂ¢Ã¢â€šÂ¬Ã…Â¡ With it you just repalce the tire when it gets in bad enough shape. True true. Some guy came into my work with a vette for oil and lube. He had a nail in his sidewall. They had to get tires from the states (to Canada) and they cost $400. If it was in the tread we'd just fix it, but no. Just this Saturday, I got a car with a nail and a screw in the tread within 3 inches of eachother. 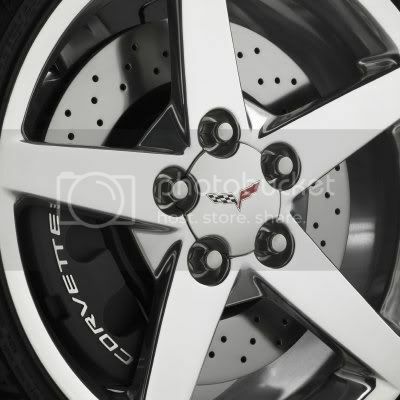 yeah, i def cant afford tires for my vette, if someone wants to help me out, I would appreciate it!! Another thing, even if you dont have directional tires, it is recomended that you pick a rotation direction and stick to it (i.e. dont change sides! Why is everyone here so lazy? ÃƒÆ’Ã†â€™Ãƒâ€ Ã¢â‚¬â„¢ÃƒÆ’Ã¢â‚¬Â ÃƒÂ¢Ã¢â€šÂ¬Ã¢â€žÂ¢ÃƒÆ’Ã†â€™Ãƒâ€šÃ‚Â¢ÃƒÆ’Ã‚Â¢ÃƒÂ¢Ã¢â€šÂ¬Ã…Â¡Ãƒâ€šÃ‚Â¬ÃƒÆ’Ã¢â‚¬Â¦Ãƒâ€šÃ‚Â¡ÃƒÆ’Ã†â€™Ãƒâ€ Ã¢â‚¬â„¢ÃƒÆ’Ã‚Â¢ÃƒÂ¢Ã¢â‚¬Å¡Ã‚Â¬Ãƒâ€¦Ã‚Â¡ÃƒÆ’Ã†â€™ÃƒÂ¢Ã¢â€šÂ¬Ã…Â¡ Just use a standard good old fashioned tire iron? ÃƒÆ’Ã†â€™Ãƒâ€ Ã¢â‚¬â„¢ÃƒÆ’Ã¢â‚¬Â ÃƒÂ¢Ã¢â€šÂ¬Ã¢â€žÂ¢ÃƒÆ’Ã†â€™Ãƒâ€šÃ‚Â¢ÃƒÆ’Ã‚Â¢ÃƒÂ¢Ã¢â€šÂ¬Ã…Â¡Ãƒâ€šÃ‚Â¬ÃƒÆ’Ã¢â‚¬Â¦Ãƒâ€šÃ‚Â¡ÃƒÆ’Ã†â€™Ãƒâ€ Ã¢â‚¬â„¢ÃƒÆ’Ã‚Â¢ÃƒÂ¢Ã¢â‚¬Å¡Ã‚Â¬Ãƒâ€¦Ã‚Â¡ÃƒÆ’Ã†â€™ÃƒÂ¢Ã¢â€šÂ¬Ã…Â¡ What do you think people did without Impact Guns... jeeze. ÃƒÆ’Ã†â€™Ãƒâ€ Ã¢â‚¬â„¢ÃƒÆ’Ã¢â‚¬Â ÃƒÂ¢Ã¢â€šÂ¬Ã¢â€žÂ¢ÃƒÆ’Ã†â€™Ãƒâ€šÃ‚Â¢ÃƒÆ’Ã‚Â¢ÃƒÂ¢Ã¢â€šÂ¬Ã…Â¡Ãƒâ€šÃ‚Â¬ÃƒÆ’Ã¢â‚¬Â¦Ãƒâ€šÃ‚Â¡ÃƒÆ’Ã†â€™Ãƒâ€ Ã¢â‚¬â„¢ÃƒÆ’Ã‚Â¢ÃƒÂ¢Ã¢â‚¬Å¡Ã‚Â¬Ãƒâ€¦Ã‚Â¡ÃƒÆ’Ã†â€™ÃƒÂ¢Ã¢â€šÂ¬Ã…Â¡ My tires haven't gotton loose or fallen off yet. ÃƒÆ’Ã†â€™Ãƒâ€ Ã¢â‚¬â„¢ÃƒÆ’Ã¢â‚¬Â ÃƒÂ¢Ã¢â€šÂ¬Ã¢â€žÂ¢ÃƒÆ’Ã†â€™Ãƒâ€šÃ‚Â¢ÃƒÆ’Ã‚Â¢ÃƒÂ¢Ã¢â€šÂ¬Ã…Â¡Ãƒâ€šÃ‚Â¬ÃƒÆ’Ã¢â‚¬Â¦Ãƒâ€šÃ‚Â¡ÃƒÆ’Ã†â€™Ãƒâ€ Ã¢â‚¬â„¢ÃƒÆ’Ã‚Â¢ÃƒÂ¢Ã¢â‚¬Å¡Ã‚Â¬Ãƒâ€¦Ã‚Â¡ÃƒÆ’Ã†â€™ÃƒÂ¢Ã¢â€šÂ¬Ã…Â¡ I was wondering also why we are allowed to say "********"? You can't right now....and this isn't the place to ask.